Verdict : Well...it was different. Nothing outstanding. 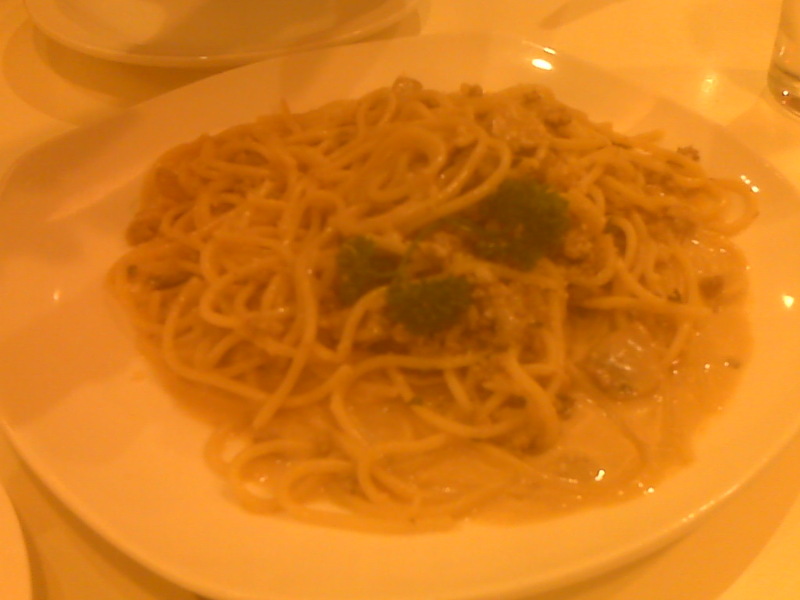 I didn't want to have any plain 'ol Carbonara so I ordered this. Hey, at least I had food. Verdict : I quite liked this one. Super crispy with lots of Mozzarella. I just love my cheeses. Verdict : It was passable. Too much gelatin, not enough cream cheese. 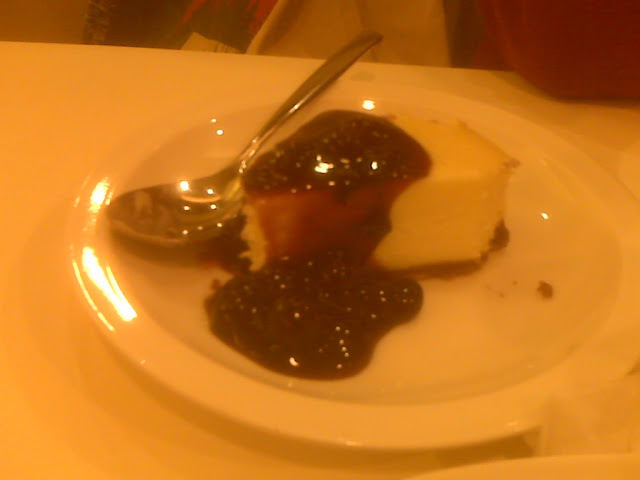 I prefer Burgoo's cheesecake any day. I need Java in my system just to walk straight. So remembering that I didn't have any that day, I ordered this. 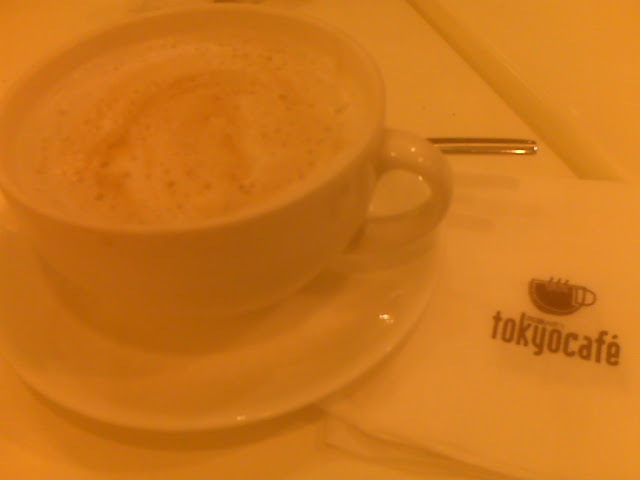 And my tummy was upset because prior to going to Tokyo Cafe, I already ate. So I needed something warm. Verdict : Just regular Cafe 'au Lait. Couldn't taste much of the beans. Tasted more like milk with a shot of coffee. Price-wise, I don't think it's worth it. 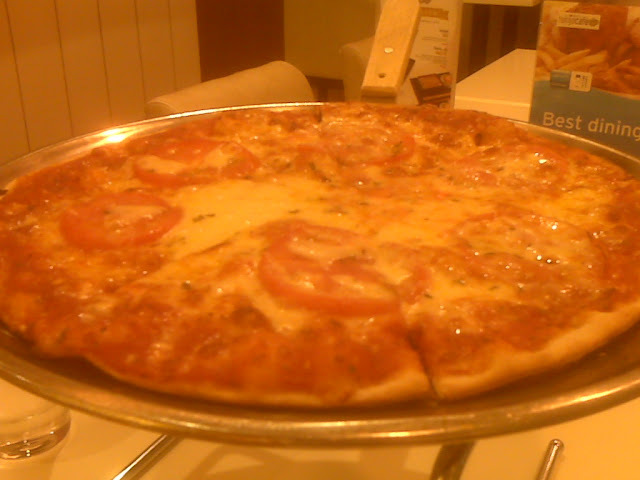 Their servings are small for a 200+ php dish and the servers are not really attentive. (One waitress ignored us when we tried to ask for the bill) but maybe it's just this branch. On the up-side, they have cute menus. Maybe I'll go there again, maybe I won't. But I won't definitely come looking for it.